The findings of this report received considerable ink in The New York Times and The Washington Post and plenty of airtime on networks around the world, including on CNN. And the day the report was released Vice President-elect Joseph Biden was briefed on its contents. So is the sky falling? Not really. Terrorists have already used weapons of mass destruction in the past decade in attacks around the world, and they have proven to be something of a dud. In the fall of 2001, the anthrax attacks in the United States that targeted politicians and journalists caused considerable panic but did not lead to many deaths. Five people were killed. The alleged author of that attack, Bruce E. Ivins, was one of the leading biological weapons researchers in the United States. Even this brilliant scientist could only “weaponize” anthrax to the point that it killed a handful of people. Imagine then how difficult it would be for the average terrorist, or even the above-average terrorist, to replicate such efforts. Similarly, the bizarre Japanese cult Aum Shinrikyo, which recruited leading scientists and had hundreds of millions of dollars in the bank, embarked on a large-scale WMD program in the early 1990s in which cult members experimented with anthrax and invested in land in Australia to mine uranium. In the end, Aum found biological and nuclear attacks too complex to organize and settled instead on a chemical weapons operation, setting off sarin gas in the Tokyo subway in 1995 that killed 12 commuters. It is hard to imagine a place better suited to killing a lot of people than the jam-packed Tokyo subway, yet the death toll turned out to be small in Aum’s chemical weapons assault. More recently, in 2006 and 2007 al Qaeda’s Iraqi affiliate laced several of its bombs with chlorine. Those attacks sickened hundreds of Iraqis, but victims who died in the assaults did so more from the blast of the bombs than because of inhaling chlorine. Al Qaeda stopped using chlorine in its bombs in Iraq more than a year ago. There is a semantic problem in any discussion of WMDs because the ominous term ”Weapons of Mass Destruction” is something of a misnomer. In the popular imagination, chemical, biological and nuclear devices are all weapons of mass destruction. In fact, there is only one weapon of mass destruction that can kill tens or hundreds of thousands and that is a nuclear device. So the real question is: Can terrorists deploy nuclear weapons any time in the next five years or even further in the future? To do so, terrorists would have one of four options: to buy, steal, develop or be given a nuclear weapon. But none of those scenarios are remotely realistic outside the world of Hollywood. To understand how complex it is to develop a nuclear weapon, it is worth recalling that Saddam Hussein put tens of millions of dollars into his nuclear program with no success. Iran, which has had a nuclear program for almost two decades, is still years away from developing a nuclear bomb. Terrorist groups simply don’t have the massive resources of states, and so the notion that they could develop their own, even crude, nuclear weapons is fanciful. Well, what about terrorists being given nukes? Preventing this was one of the underlying rationales of the push to topple Hussein in 2003. This does not pass the laugh test. 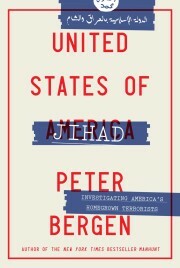 Brian Michael Jenkins, one of the leading U.S. terrorism experts in a book published this year, “Will Terrorists Go Nuclear?,” points out that there are two reasons this is quite unlikely. For the same reason that states won’t give nukes to terrorists, they also won’t sell them either, which leaves the option of stealing a nuclear weapon. But that is similarly unlikely because nuclear-armed governments, including Pakistan, are pretty careful about the security measures they place around their most valued weapons. None of this of course is to suggest that al Qaeda is not interested in deploying nuclear devices. Osama bin Laden and other al Qaeda leaders have repeatedly bloviated about the necessity of nuking the West and have even implied that they have the capability to do so. Yes, in the mid-1990s when Al Qaeda was based in Sudan, members of the group tried to buy highly enriched uranium suitable for a nuke, but the deal did not go through. And it is certainly the case that a year or so before 9/11, bin Laden was meeting with veterans of Pakistan’s nuclear program to discuss how al Qaeda might get into the nuclear weapons business. But all of this was aspirational, not operational. There is not a shred of evidence that any of this got beyond the talking stage. In 2002, former U.N. weapons inspector David Albright undertook a careful study of al Qaeda’s nuclear research program and concluded it was virtually impossible for al Qaeda to have acquired any type of nuclear weapon. However, there is plenty of evidence that the group has experimented with crude chemical and biological weapons, and also attempted to acquire radioactive materials suitable for a “dirty” bomb, a device that marries conventional explosives to radioactive materials. But even if al Qaeda successfully deployed a crude chemical, biological or radiological weapon these would not be weapons of mass destruction that killed thousands. Instead, these would be weapons of mass disruption, whose principal effect would be panic — not mass casualties. So if not WMDs, what will terrorists use in their attacks over the next five years? Small-bore chemical, biological and radiological attacks are all quite probable, but those attacks would kill scores, not thousands. The first vehicle bomb blew up on Wall Street in 1920 detonated by an Italian-American anarchist. Since then, the car/truck bomb has been reliably deployed by terrorists thousands of times. Assassinations, such as the one that killed Archduke Ferdinand in Sarajevo in 1914, sparking one of the bloodiest wars in history. Hijackings, such as those that inaugurated the worst terrorist attack in history on 9/11. Guys armed with AK-47s intent on murder and mayhem as we saw in Mumbai, India, brought one of the world’s largest countries to a standstill and generated continuous news coverage around the globe for 60 hours. Why go the deeply uncertain, and enormously complex and expensive WMD route when other methods have proved so successful in getting attention for terrorists in the past? The Commission on the Prevention of Weapons of Mass Destruction Proliferation and Terrorism makes all sorts of sensible recommendations. Among them is creating a WMD adviser in the White House who would coordinate all the issues of WMD proliferation and terrorism, something the Obama administration would do well to implement. Right now, responsibility for this important job is diffused over numerous agencies, from the Department of Energy to the Pentagon. But the report’s overall conclusion that WMD terrorism is likely to happen “somewhere in the world” in the next five years is simultaneously stating the obvious — because terrorists already have engaged in crude chemical and biological weapons attacks — but also highly unlikely because deploying true WMDs remains beyond the capabilities of terrorist groups today and for the foreseeable future.